Once youfve honed your skills making kombu dashi and awase dashi, you might want to take a stab and niboshi dashi – a stock made from dried baby sardines, and the strongest flavoured out of all the dashis shown here. Niboshi can vary in size – from 3.8cm to over 7cm – and the smaller ones tend to be milder in flavour. Niboshi dashi is usually made during summer, then kept for use for the rest of the year. The reason why niboshi dashi is not made during winter is because the fish carries more fat – this means that the dashi made from the fattier fish has a higher chance of spoiling more quickly due to oxidisation. 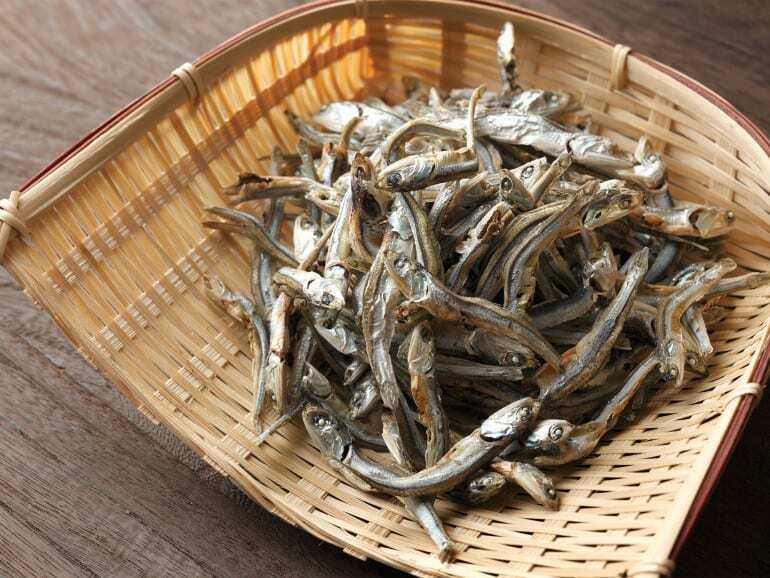 Niboshi is a more affordable option compared to bonito flakes and kombu, and itfs also known to be rich in calcium. To prepare it, you first need to remove the heads and entrails of the niboshi – this is to prevent the stock from becoming too bitter. Soak the niboshi in a pot of water for about 30 minutes, then bring to a boil on medium heat before straining it. To add another flavour dimension to the niboshi, some people may choose to add kombu to the stock. Niboshi dashi is commonly used in soups that have a stronger flavour, such as those made with dark miso. It can also be used as a base for noodle soup dishes like kitsune udon (udon topped with fried beancurd).